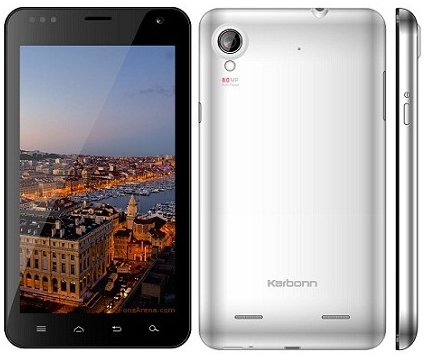 The Indian mobile manufacturer Karbonn recently launch Karbonn A30 Smartphone in India. It is a Dual-SIM Android smartphone. The A30 smartphone runs on Android 4.0 (Ice Cream Sandwich) operating system. It come with gigantic 5.9-Inch TFT LCD capacitive Multi-Touch screen. It has a 8 Megapixel primary camera, The camera features auto-focus, face detection, and LED flash light. It also packed with 1.3 Megapixel Front-facing web camera for effective video calling. 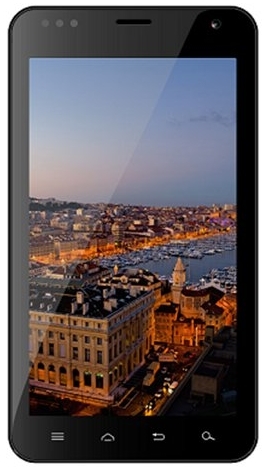 Karbonn A30 Smartphone powered by 1 GHz dual-core processor. The device supports up to 32 GB internal storage space with MicroSD cards. The smartphone provides cellular connectivity through Dual-SIM slots, one of which supports 3G and the other one works on dual-band 2G, The two SIMs operate in dual-GSM standby mode during voice calls. 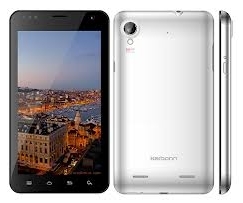 The Karbonn A30 smart phone offers high speed data via GPRS, 3G Bluetooth, Wi-Fi with hotspot, EDGE, USB. It has a Media player, Media player supports MP3 Audio format and 3GP, MP4 Video formats. The device loaded with Google Play (For downloading games/music/apps), YouTube, Facebook, Pay TM (To recharge mobile/DTH/ Data card/ Toll card), Popi (To recharge prepaid mobile & DTH, book movie ticket & domestic airline ticket), GTalk, WhatsApp apps and Angry Birds Game installed.Multitasking enabled, Run multiple apps simultaneously and switch between them instantly. The phone built-in with 2500 mAh battery, The battery offers high battery life. POP3, SMTP, Gmail, Push mail Email services enabled. Light Sensor, G-Sensor, Proximity Sensors in-built. Touchscreen QWERTY keyboard and Touchscreen T9 keyboard available. The handset Available in silver (with white back panel) and white (with black back panel) colours, the Karbonn A30 is available for Rs 13,000. The company has not disclosed details about the amount of RAM, internal storage, the CPU make, and screen pixel dimensions. But this is what buying decision for Android handsets eventually boils down to and until these become known, it is wise to wait and watch. It comes with a complimentary leather pouch and an extra back panel, which can be useful in case you happen to lose the original. 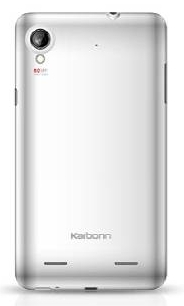 It Available in silver (with white back panel) and white (with black back panel) colors, the Karbonn A30 is available for Rs 13,000 in India.